The DC: 📃 Mueller: Trump campaign did not 'conspire or coordinate' with Russia, and... Do you support legalizing marijuana? Those are the "principal conclusions" from Robert Mueller's report into his investigation of possible collusion between the Trump campaign and Russia during the 2016 presidential campaign. Attorney General William Barr provided Congress and the public with his summary on Sunday. “The Special Counsel states that ‘while this report does not conclude that the President committed a crime, it also does not exonerate him.’"
President Trump has signed an executive order meant to promote free speech on college campuses by threatening to withhold federal research and education funds if they fail to protect those rights. 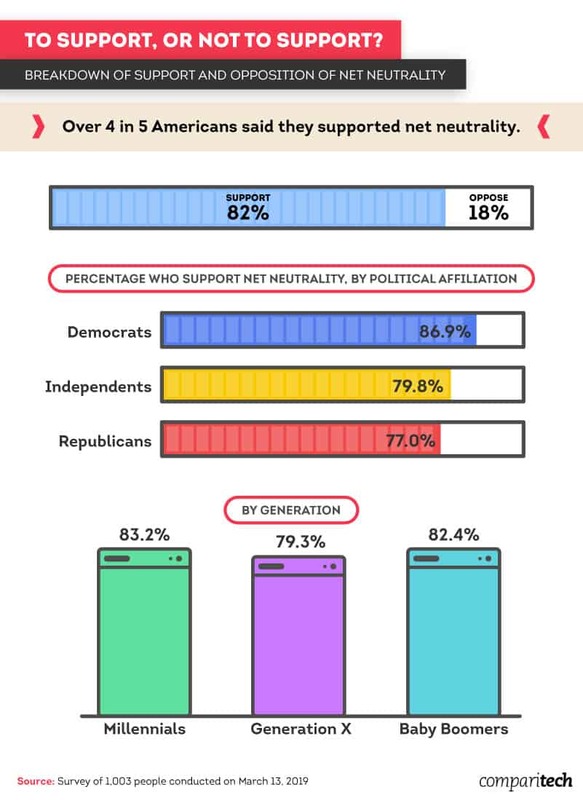 80 percent of respondents support the “basic tenets of net neutrality,” finds a new poll by Comparitech. These tenets included classifying internet service providers (ISPs) as “telecommunications” services, and prohibiting ISPs from blocking access, degrading transmissions, and slowing the speed of content. Who’s not in favor of legalization? The Drug Enforcement Agency. Marijuana is still classified as a Schedule 1 drug by the DEA, meaning they consider it to have a high potential for abuse no acceptable medical uses. We all know the truth: Facebook is not altruistic. They’re not in business to build your business, to send you traffic, to be your friend. They’re in business to return massive shareholder value by giving their users the best experience they know how, and monetizing them to the hilt. Read Bart's tips about breaking the Facebook addiction cycle here. At 12:00pm EDT, the president will participate in an expanded bilateral meeting with the prime minister of Israel. At 3:00pm EDT, the president will participate in a photo opportunity with the 2018 Stanley Cup Champion Washington Capitals. Voting on a bill to provide more humanitarian aid to Venezuela. Voting on a bill to prohibit arms sales to Venezuela's Maduro regime. Voting on a bill to invest in natural gas and energy infrastructure in Central & Eastern Europe to counter Russian influence. Taking a procedural vote on the nomination of Judge Bridget Bade to the Ninth Circuit Court of Appeals. Here's how you're answering Should the Feds Fund School Resource Officers in K-12 Schools? Do you like what Countable does? Then join the team. We're looking for a digital content whiz who can take the day’s news and turn it into content people will want to click and comment on. We’ll provide the politics, you create infographics, memes, animated gifs, and short videos. All with the goal of driving traffic back to our site and app. If you're a creative at heart who has a marketer’s passion for producing innovative and compelling content that can go viral, this job is for you. “All we have to decide is what to do with the time that is given us.” Congratulations, you just celebrated Tolkien Reading Day.